The visit concluded with various agreements that stand to enhance the bilateral relationship in political, economic, geo-economic, educational, scientific, and business fields. 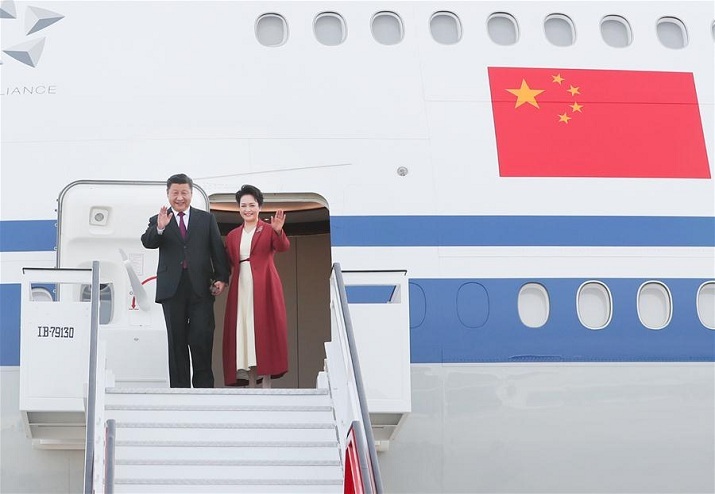 The historic official visit of President Xi Jinping to Spain lasted 3 days, prior to his participation in the G20. His arrival to Madrid on November 27 was preceded by his signed article published on Spanish newspaper ABC titled “Joining Hands for New Splendor in the New Era,” in which Xi outlined his point of view regarding the bilateral relationship, and was covered widely by various Spanish media outlets and given much importance and attention by local officials and analysts. The visit attracted an unusually high level of media attention and coverage, proof of the Spanish public’s interest in this visit 13 years after the last visit paid by a Chinese president. Each of the places President Xi visited was met by curious and excited public interest and presence. He met with King Philip VI and Spanish Prime Minister Pedro Sánchez, and later with the Senate and Congress’ presidents, after which he headed to the Courts. 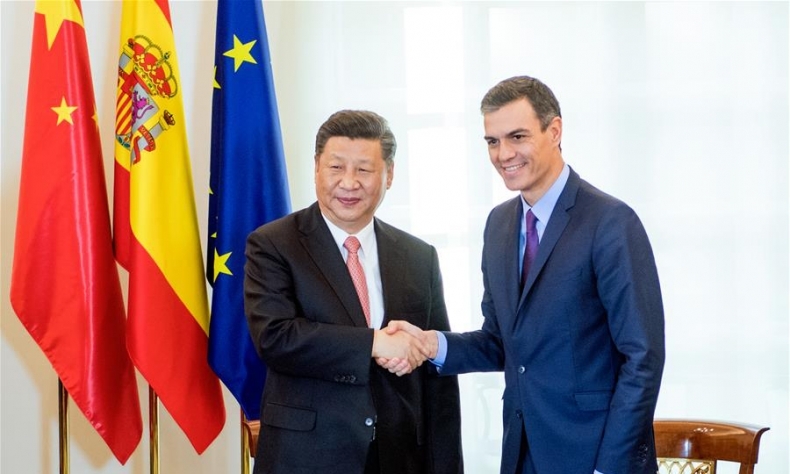 At the town hall, he was given the city’s keys by Madrid’s mayor, Manuela Carmena, in the capital of a country with a Chinese community which numbers over 200,000 and with more than 40,000 Spaniards learning Chinese. The visit concluded with various agreements that stand to enhance the bilateral relationship in political, economic, geo-economic, educational, scientific, and business fields. Even though the visit may have concluded, both will meet again along with other world leaders in the Buenos Aires G20 summit, in which Spain is a permanent guest. Xi will participate in the G20 Summit in Argentina between November 30 and December 1, a gathering that the hosts see with optimism, although there are two critical issues that need to be addressed. As we all know, it pertains to the anachronistic trade challenge by Trump’s administration to China but in reality, goes against the very concept of free trade nurtured over the past few decades, particularly since the end of the Cold War. We should remember that the policy of free trade that China progressively adopted ─ especially after entering WTO back in 2001 ─ has boosted the American economy. Had China not bought American treasury bonds, stabilized the economy during the so-called Asian financial crisis between 1997 and 1999, and played the role it did in the financial crisis triggered in 2008, today’s world would be considerably worse off. The fact that the world’s development is not worthy of consideration by the leading power’s current administration doesn’t mean that the world has to change, let alone change course in a short timeframe to satisfy either Trump, his party, or certain pressure groups. The future seems to hinge upon enlightening unilateralists about acknowledging the unraveling they are perpetuating the consensuses and agreements built gradually over decades. The most evident of them was the arduously edified Paris Agreement, reached within the framework of the Marco Convention of the United Nations on Climate Change. By opposing it, they betray the inherent working of economic diplomacy, and impinge upon the sanctity of other forms of diplomacy, that in the event of failing, could threaten peace among the nations. In the second instance, unilateralists obstruct planning. For example, Beijing and other capitals ─ just a handful of them ─ are used to planning on a short, median, and long term basis. And that matters since in some of the last few years, China has been responsible for almost 30% of global growth, being the first trading partner of the majority of the nations of the world. In the third instance, unilateralism destroys the rationality of global supply chains. Precisely, American analyst Thomas Friedman has successfully predicted that “two countries that form part of a large global supply chain will never fight a war (against each other) for as long as they form part of the same supply chain”. However, what can be witnessed here is the demolition of this very relationship. The 2018 G20’s hosts hope to focus on the future of manufacturing and production, infrastructure for development, and a sustainable food future. The future means of production seem tied with the arrival of robots and their existence comes with both economic and moral dilemmas. If they are implemented before finding solutions for human workers that they will inevitably replace, it will lead to unemployment on a massive scale. That’s why it’s so important to coordinate the transition in which China has a relevant voice, with a market growing 25 percent annually and centered in China, America, Japan, Germany, and South Korea. Another remarkable aspect of the Buenos Aires meetings is the focus on infrastructure for development, a key in digital transformation, from artificial intelligence to big data. Chinese digital economy now accounts for nearly a third of its GDP, supported by the largest group of internet users ─ almost 800 million ─ aside from mobile networks with up to 1.39 billion lines on the network. All these developments are syncing up with the development and progress of AI. The other challenge earmarked by the hosts to be discussed is the sustainable food future. It will be relevant to reevaluate Argentina as an agri-food global power aside an equally interesting thought about the meaning of a state like China feeding its population ─ about 20 percent that of the world ─ all by itself. 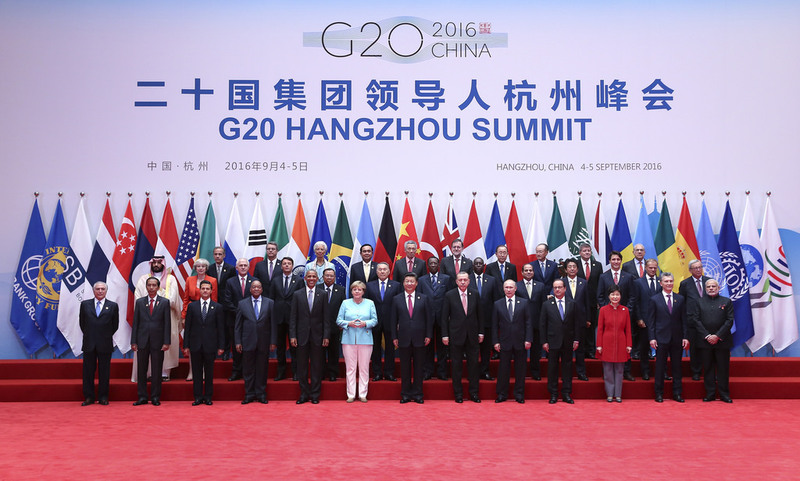 In Hangzhou’s 2016 G20 summit, China presented itself responsible for a third of the previous year’s global economic growth. That summit highlighted the relevance of boosting so called “green” finance, fiscal transparency, financial regulation, and digital economy. It was emphasized that the Asian superpower possessed undisputed experience, plus the industrial and financial capacity aiding economic recovery projects or those of an advanced nature. On the other hand, the international community could do with some better understanding of China’s synergic force in the forthcoming G20 summit and remove any misunderstandings, since nowadays the “US-China trade war” is a trending topic. Sensationalizing the issue like that can make it easy to forget the side that went against the world order without any consideration of sensible negotiation. Augusto Soto is the director of the “Dialogue with China”‘ project and representative of China Today in Spain.